How to measure you countertop for a quote. 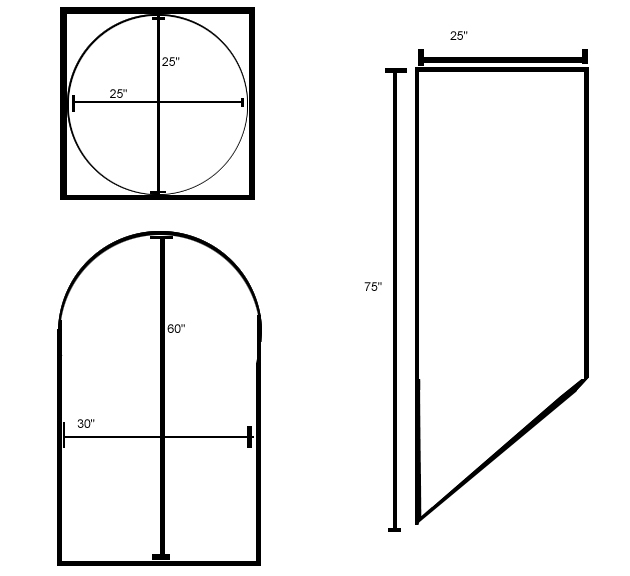 By taking your own measurements you will be able to receive price quotes without having anyone come out to you home. You also will be able to get quotes from several different companies based on the exact same measurements. Please be aware they will treat your measurements as a draft. The granite contractor will have to come out and take actual measurements when you are ready to move forward with the granite job. 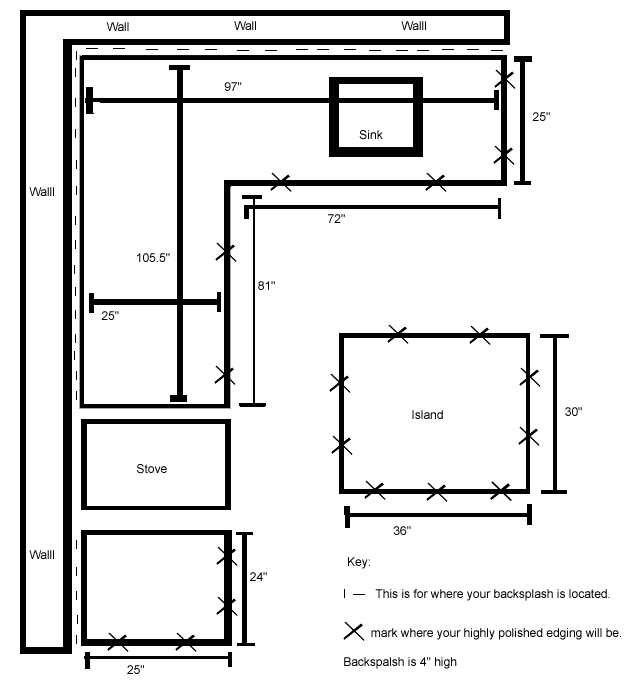 Draw a diagram of your kitchen. It doesn't need to be to scale but make sure all surfaces and edges are represented so you have a place to record each measurement. When you are taking measurements, make sure to measure from the wall out to the end of the countertop. (Not from the backsplash to the end of the countertop) Failing to do so will result in an inaccurate measurement by at least 1". You can estimate where the seams will be after you draw out your countertop on paper and take all the measurements. On average granite slabs are 120" long by 60" wide. Some granite slabs are bigger and some are smaller, keep that in mind. To be sure, it is best to plan the seams after you Have confirmed your granite selection. Some granite is directional. Meaning that the pattern flows in one direction. Your seams may have to be moved because of the directional pattern of your slab. If you are measuring for a circle, curved, or diagonal piece, measure to the furthest points and treat it as if it was a square or rectangle and write down those measurements. Square feet refers to how many square feet of granite there will be, this will include your countertops and backsplash. Add those up and you arrive at a grand total of 50 square feet. Lineal feet refers to how many feet of polished edges there will be, this will only include your countertops and NOT your backsplashes. 25"+ 72"+ 81"+ 24"+ 25"+30"+30"+36"+36"=359"
Take 359"/12" then round to the nearest whole number to get a grand total of 30 lineal feet. Always start with the piece that is to the right of the sink and then work your way around the kitchen clockwise, this will help you include all edges and prevent you from measuring something twice. Be sure to add all FOUR edges of the island to get an accurate total. Find Countertops Contractors. Get Up to 4 Quotes Now. It's Quick, Free, and Easy!